A client signed a contract from Jot Forms. I changed the template and went to go and look at the PDF for the submission and that also changed. Is there a way to render the PDF when they sign the contract? would using drop box do this for me automatically? 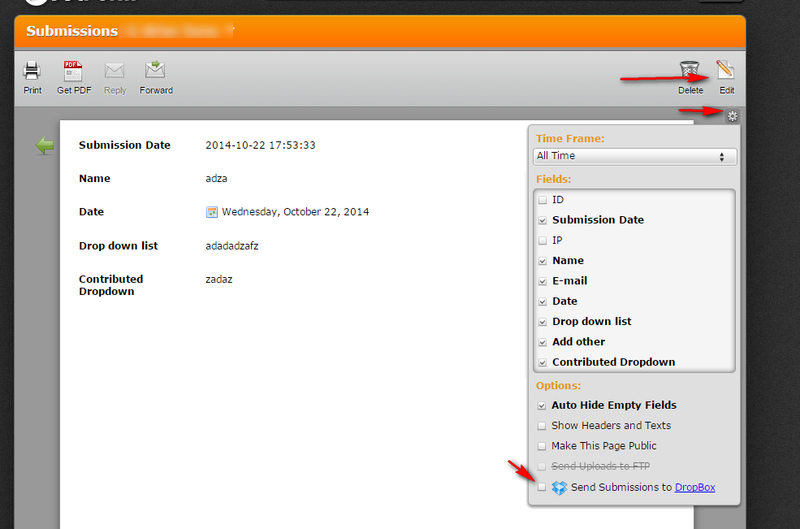 Reverting the earlier template for the PDF submission is not possible right now. 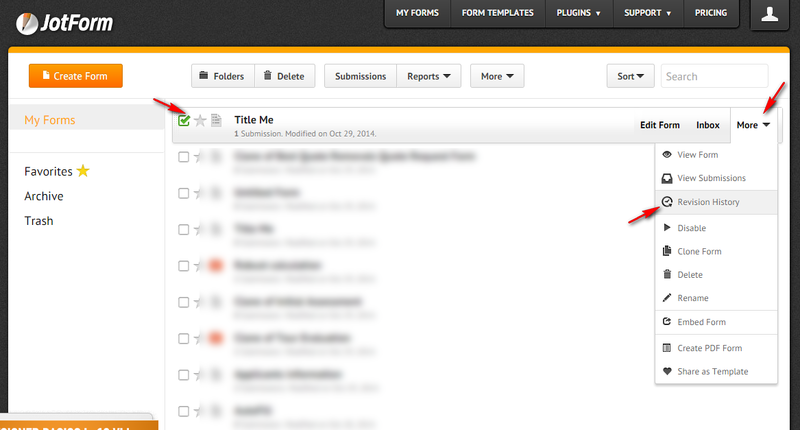 But we do have a revision control/history in our form editor. 1. 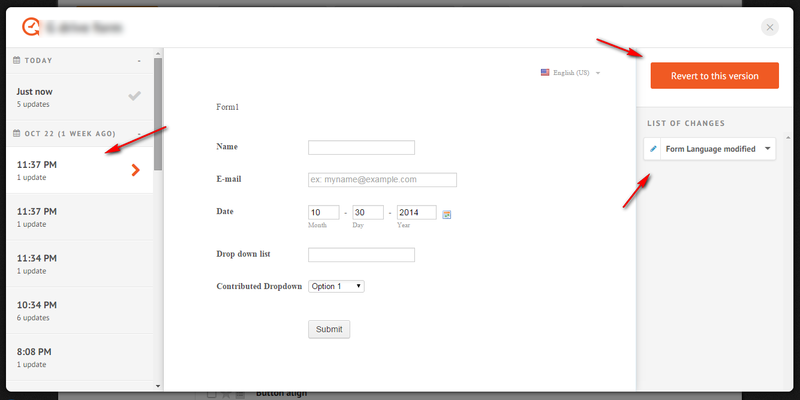 Under "My Forms", click the form you want to revert the previous changes or template. Click the "More" option and choose "Revision History"
2. In the "Revision History" you should see all the changes in the left pane to when you made all the changes, you can then revert back to the earlier template you made. And get back to the submissions to have the same contract template that your client had.